The Korean Central News Agency(KCNA) reported on Thursday that South and North Korean basketball players held two friendly games at the Ryugyong Chung Ju-yung Gymnasium on Wednesday. The KCNA said that the matches were between teams named “peace” and “prosperity,” made up of a mixture of North and South Korean players. The report said that in the women’s game, the “prosperity” team won 103-102, while the men’s game was tied at 102-102. On Thursday the two teams competed for their respective countries in a friendly game. During a women's and men's game at the Ryugyong Chung Ju-yung Gymnasium, the teams were not labeled South and North but “blue” and “red.” No national flags or anthems were used. North Korean leader Kim Jong-un, who is known to be an avid basketball fan, did not attend any of the games, as he was reportedly touring rural areas for inspection. 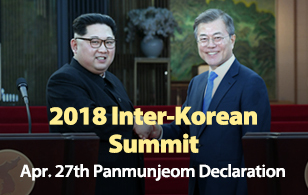 The two Koreas have also been holding working-level talks on the southern side of the truce village of Panmunjeom to discuss cooperation in the forestry sector. The talks, held on Wednesday, were expected to focus on overall inter-Korean cooperation in the forestry sector, including detailed implementation methods. In particular, the two sides were expected to discuss how to help the North deal with deforestation issues and the potential transfer of tree planting and growing technologies to the North. 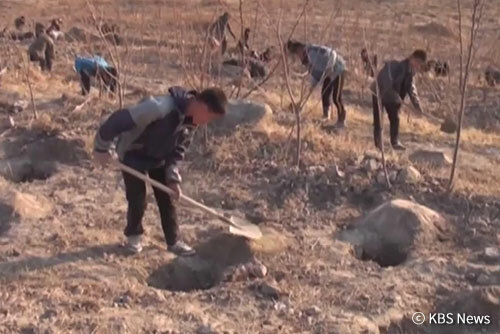 North Korea has lost around 32 percent of its two-million 840-thousand hectares of forest as of 2008, which prompted North Korean leader Kim Jong-un to come up with a reforestation plan in 2015. Meanwhile, repairs to the facilities used for family reunions in North Korea will begin on Monday. Seoul's Unification Ministry said a 22-member delegation headed by a ministry director and including Red Cross and Hyundai Asan officials will visit the North on Monday. The repairs will be based on the findings of a South Korean inspection team that visited North Korea's Mount Geumgang last month. The mountain resort is the venue for the inter-Korean family reunions scheduled from August 20th to the 26th.